Fianna Fáil has written to the Transport Minister seeking a safety audit of the country's school buses. It follows a report by RTÉ's This Week programme which revealed that 51% of the buses inspected by the Road Safety Authority in the past year failed roadside safety checks. Almost a third of them were found to have had major or dangerous defects. School buses carrying children are among the passenger vehicles inspected, although the figures include other public and private buses. The enforcement figures released to RTÉ’s This Week, show there were 873 bus inspections in the 12 months to June of this year. Of these just over half or 445 failed to comply with safety standards, and 268 buses were found with major defects, while 37 had dangerous defects. When a dangerous defect is identified, the bus is immediately taken off the road. The RSA said it employs a strategy of targeting those thought to be most at risk of non-compliance both at the roadside and when conducting inspections at operator premises, therefore the figures are not indicative of the compliance of the entire national bus fleet. RTÉ News has also learned that RSA chairperson Liz O’Donnell raised concerns with Bus Éireann last year about the road worthiness of school buses operated under the School Transport Scheme. Under the scheme almost 4,500 buses, mostly operated by private contractors on behalf of Bus Éireann, bring 117,000 children to and from schools. In a letter to Bus Éireann chairperson Aidan Murphy, Ms O'Donnell referenced "concerns with the roadworthiness of school buses operated under the Schools Transport Scheme". In the letter she stated that even though progress had been made "our findings at the roadside to date show little in terms of improvements". The letter was sent in July 2017. When contacted, Bus Éireann said it has a robust safety regime in place. A spokeswoman said: "We have a comprehensive series of safety checks in place including significant documentation requirements, including all relevant licences and up to date roadworthiness certificates - as well as random and targeted testing of our contractors, carried out by an independent body." 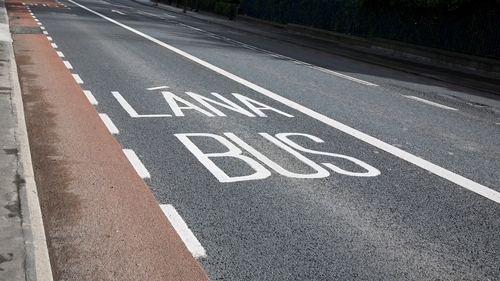 The bus company added that, "all contractors are ultimately responsible for the safety of their own vehicles and the Road Safety Authority have a programme in place for this". Correspondence seen by RTÉ’s This Week shows Bus Éireann wrote to the Road Safety Authority, which carries out bus inspections, in April asking it to share information on high-risk operators. The RSA informed Bus Éireann that its risk indicator is an enforcement tool, and is not evidence of compliance or non-compliance and it did not have a "legal basis" on which to share the information with Bus Éireann. The Coach Tourism and Transport Council of Ireland, which speaks on behalf of private operators, declined to comment on the figures, however sources within the private bus industry claimed high fuel and insurance costs, along with falling payments for operators of the school transport scheme has resulted in safety being compromised. Bus Éireann said all contracted school transport routes are tendered on the open market in line with EU and public procurement laws. The Department of Education said it has been assured by Bus Éireann that a robust safety regime is in place, and it will continue to discuss the concerns raised by the RSA directly with Bus Éireann with the intention of ensuring that any improvements to the fleet are prioritised. Fianna Fáil’s transport spokesman Robert Troy has said he had written to the Minister for Transport Shane Ross asking him to instruct Bus Éireann to carry out a full audit to ensure that all buses carrying children have an up-to-date road worthiness certificate. "I’ve written to Shane Ross who is responsible for both Bus Éireann and the Road Safety Authority asking that Bus Éireann will carry out an audit to ensure that every bus they have contracted under the School Transport Scheme meets roadworthy certification," said Mr Troy. He said he also wanted the RSA to use its power to prosecute repeat offenders. "I’ve asked the minister to contact the RSA to ensure that any bus that is failing roadworthiness would incur a penalty to ensure that they would not operate an unroadworthy vehicle," he said. The RSA has pointed out that bus operators have in the past been prosecuted through the courts by gardaí in relation to non-compliance with safety standards, and RSA officials do assist with prosecutions.